The term “certified organic” cannot be used casually. In this country, there are strict guidelines set up by the United States Department of Agriculture (as well as private certifying agencies) in order to authorize a facility to use the term “certified organic.” And being part of the organic culture demands a significant commitment to the entire system. In today’s market people use the terms “all natural,” “organic” and “certified organic” interchangeably, when there really is a significant difference. Only “certified organic” has been approved by an accredited 3rd party agency after a thorough study of the entire process of growing the ingredients and manufacturing the final product to ensure that all steps have been performed within the strict guidelines. • Fertility is provided by natural organic manures, composts and fertilizers — the use of synthetic chemicals is prohibited. • The use of genetically modified (GM) seeds or other materials is not permitted (non-GMO). • Provide official certification numbers or logos of each certification body on the packaging, as this is the consumer’s guarantee of authenticity. 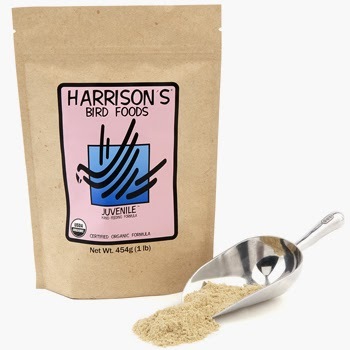 The required 3rd-Party verification statement (as specified by USDA NOP) is shown on the back of every bag of certified organic Harrison’s Bird Foods (and Wild Wings). 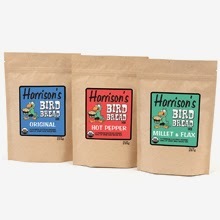 In addition to following the strict organic guidelines specified by the USDA, Harrison’s has some high standards of our own to ensure the very best quality product for your bird. • Premium WHOLE grains and other ingredients are contracted by HBD to be grown on fertile organic farms throughout North America. • A third party organic certifier verifies the certification of the raw ingredients, making sure they meet the requirements designated under the USDA’s rules regarding organic certification. • All grains and other ingredients are tested (via independent laboratory) throughout the manufacturing process for mycotoxins and rancidity. • The foods are shipped to and stored at the HBD Distribution Center in Brentwood, TN. Products remain in this climate-controlled environment until being shipped for customer orders. On all bags of Harrison’s you will find the following usage/storage suggestions. •For hand-feeding psittacine chicks until weaning. •For chicks following feeding of Neonate Formula for selected parrots. 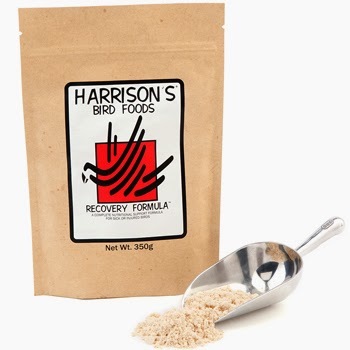 •For birds recovering from illness or injuries and birds that are losing weight during a diet conversion. *Cockatiels should remain on Neonate Formula until Day 21 Persons inexperienced with hand-feeding should consult a professional before attempting. Crude protein (min.) 18%, crude fat (min. )11%, crude fiber (max.) 4%, moisture (max.) 10%. 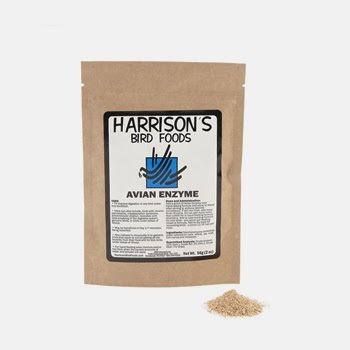 • For birds needing an easily assimilated source of nutrients. •For medical and surgical patients that are recovering from pansystemic failure. 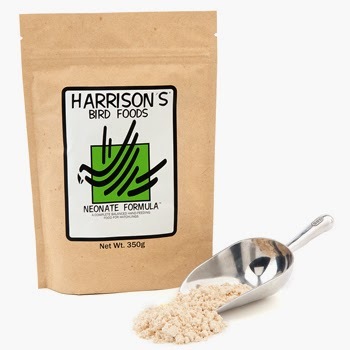 • For nutritional support of a bird during the transition phase of a diet change. • For birds in which anorexia has slowed gastrointestinal emptying time. Crude protein (min.) 35%, Crude fat (min. )19%, Crude fiber (max.) 1%, Moisture (max.) 10%.